I have always loved the daylights out of this band. So lucky me, my pal came across two single CD's of live performances and studio tracks both of which contain the wonderful song "Where Are They Now?" which begs the question, where indeed? I miss them so and I'm sure I'm not the only one. 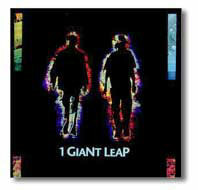 About a year ago I was on a flight back to the UK when I saw a wonderful film called "1 Giant Leap". It was a combination of music and visuals and wisdom spoken by remarkable people. In the next few days I went hunting for anything regarding it. I did a search on the web and lo and behold, there is a CD out and a DVD on the way. It is a combination of world music and a cool beat. I couldn't wait for the DVD so I got the CD and I'm glad I did. Go out, spend a little money, cheer up and feel one with the good in the world. The first time I heard The Mutton Birds I knew I was listening to something close to my heart. I searched high and low and managed to find their stunning "Envy of Angels" CD and then ran out again to get this excellent one. Beautiful unpredictable melodies and music. 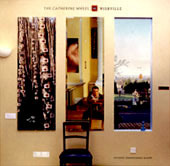 I had a chance to see The Catherine Wheel play at the (Aug. 22, 2000) at a relatively small venue - The Scala in London. I never thought I'd have the chance to see them up close like I first did when they played the Falcon so many years ago. It was an overwhelming experience then and their energy is just as strong and powerful now. This album is one of their best and how they capture the power of their live shows - I really don't know.....what I do know is I'll keep buying their CD's and try to see them next time they pass this way.